Hey all, here's the latest piece I've just finished in 1.6 b1. 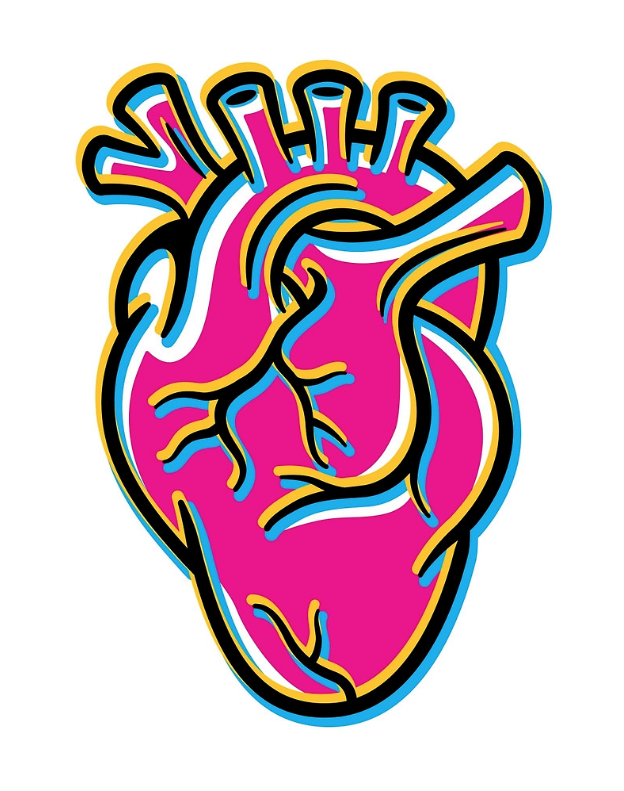 It's a fun and colourful graphic Heart illo I'm selling on Redbubble (shameless plug). ;-) Yes I know it's pink but purple heart sounds better. It's basically all line work with some filled in shapes but it's really the first time I've done a piece like this in Designer using the path or stroke pressure feature pretty much exclusively. It takes a little getting used to but it ended up feeling really nice and comfortable and kinda slick as compared to illustrator's method. Gotta say though, the expand stroke nodes situation is still a major issue for me as I usually expand and unite everything to make a watertight piece. 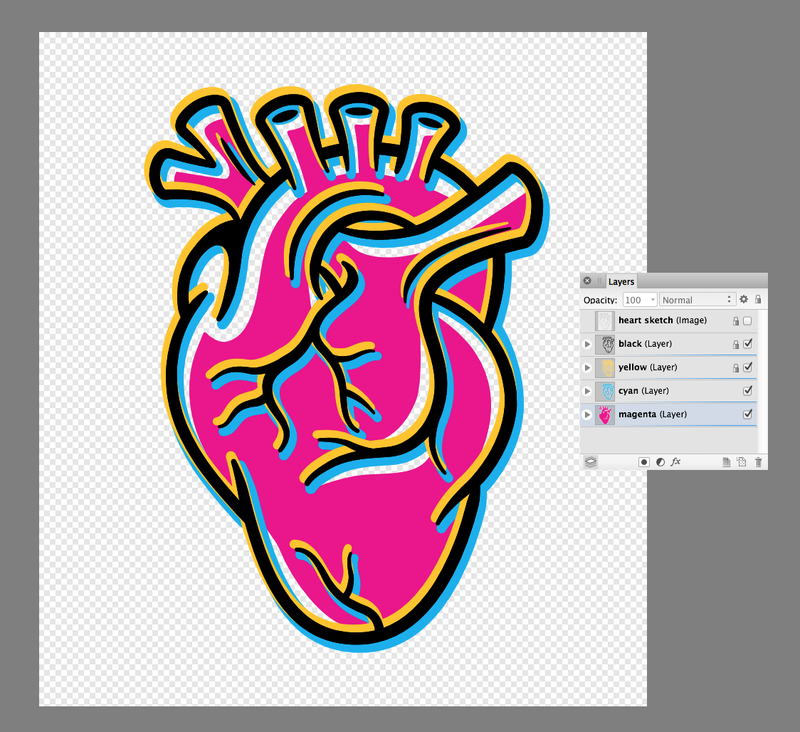 It almost forced me to abandon Designer for this and jump back to illustrator. But I stuck with it and I'm happy with the final product. 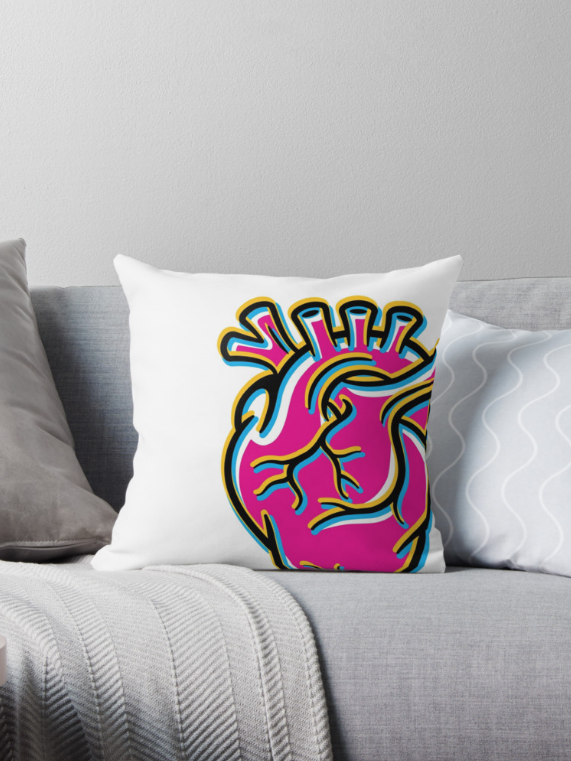 Here's a link to my Redbubble page showing it on various products. The bold colour and linework really pops. Thanks Alfred, and roger that! Looks ace. Not sure I understand what you're doing with Expand Stroke. Not something I've used myself. I was thinking of doing a range of merchandise based on one design. How is redbubble? Are you happy with the quality? Thanks eejits, short answer long...I expand or outline the strokes as a habit from years of sending out files to printers and vendors. Incase the design gets resized it ensures the the line widths stay intact... that sort of thing. Probably didn't need to do it for this but I like to be sure. I always keep versions of my files with lines or strokes still intact if I need to revise any of them. Simply Brilliant..that's all I can say!